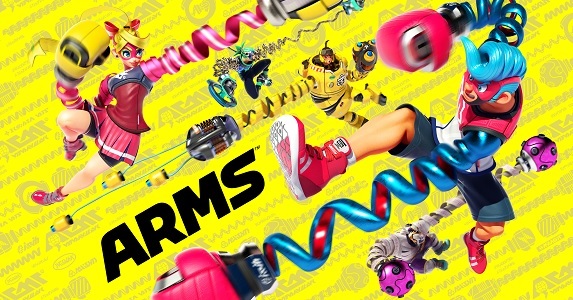 On this page, you will find all there is to know about the Party Crash events in ARMS, including the schedule for each event! ARMS – What is Party Crash? Party Crash is an online event where players get to take part in a rapidly rotating variety of matches. It basically replaces the Party Match options while it’s live. By taking part in those fast-paced fights, you can earn points, that are used to raise your Lab Level (something that only applies to the current Party Crash event). Once the event is over, you get a certain amount of in-game currency and some badges, depending on the Lab Level you reached. A key aspect of those events is that they always have two characters pitted against each other. If you play as one, then you get extra points, and the badges you unlock are linked to the featured fighter you used more during the event. Of course, you don’t have to use one of the two featured characters if you don’t want to! There’s another way to earn extra points: by using the bonus ARMS, that change every 15 minutes in order to keep things fresh. As for the bonus periods, that pop up regularly, they bring special rules and modes: One Hit Wonder (1-hit KO matches), SO MUCH RUSH (Rush gauge is always full), and more. The thing is, you always get more points than usual during those bonus periods! Important note: you need to download the latest Software update in order to participate. Check out this post for more details!